Vedia Eggleston was born July 17, 1897 in Afton, Wyoming. She was the daughter of Orson Hyde Eggleston and Mariett Farley. 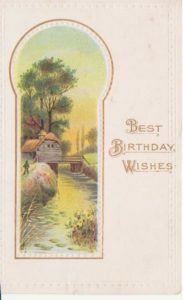 Vedia received many postcards in her early life. 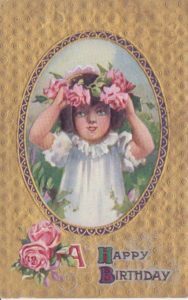 She preserved these in a Postcard Book which was miraculously acquired by the family some years ago. These are Birthday postcards to Vedia. 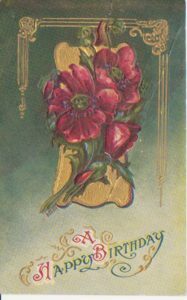 These first two undated cards were from sent from friends. the first from Esther. It does not have an address or postmark. It may have been included in a package or envelope which was mailed, or possibly was even hand delivered. 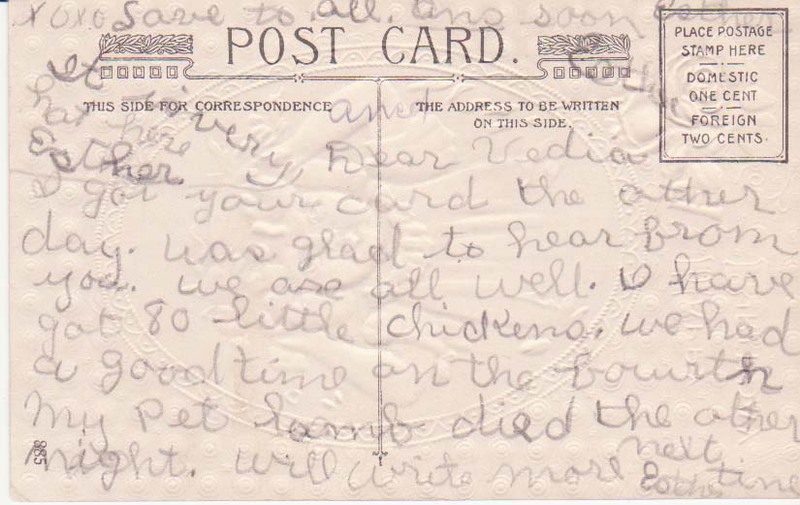 The message includes news about this girl’s chickens and pet lamb. The second card is from a friend named Vera. 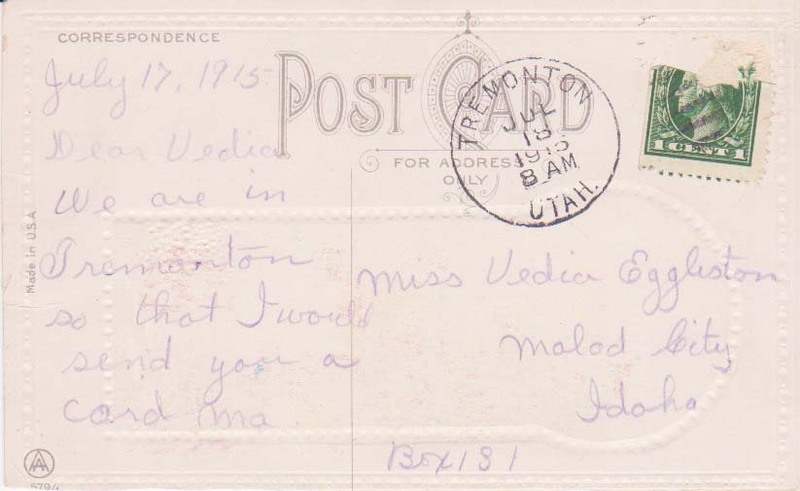 It was sent from Afton, Wyoming to Vedia when she was in Tremonton. Vedia was possibly there with her sister Connie. The handwritten date is hard to read and may be 1910, 1915 or 1916. 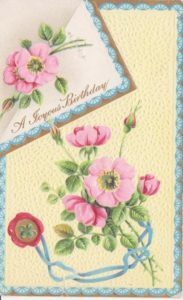 This next card sent for Vedia’s 16th Birthday, has a simple greeting to Aunt Veda from Eldred. 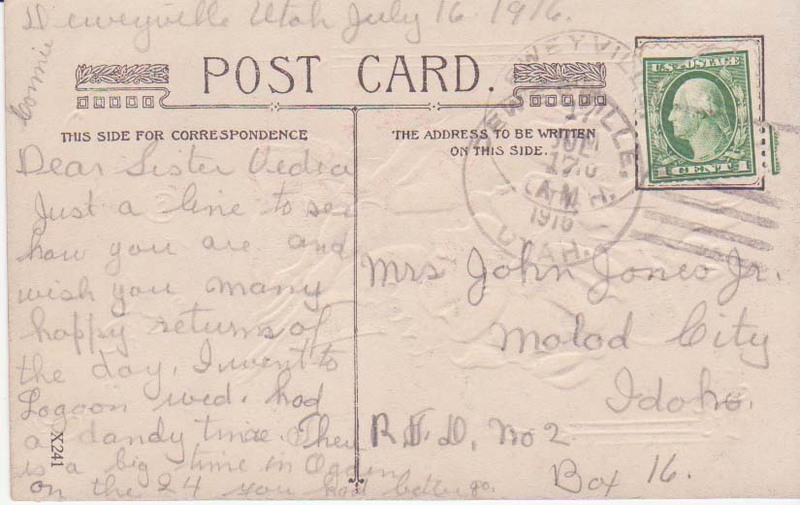 It was postmarked 1913 from Sandy, Utah to Afton, Wyoming. Eldred was a son of Vedia’s sister Nellie and Wallace Gardner. He would have been just seven years old. 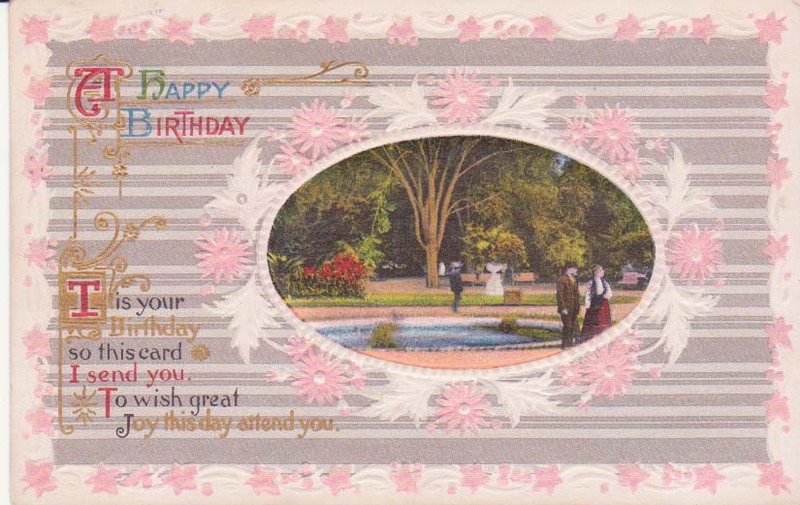 This next card is dated July 17, 1915, which would have been Vedia’s 18th Birthday. It was sent from Tremonton from Ma, who mentioned that they were in Tremonton. They were probably visiting Connie and her family. Vedia was in Malad, Idaho where she attended school and apparently stayed the summer. 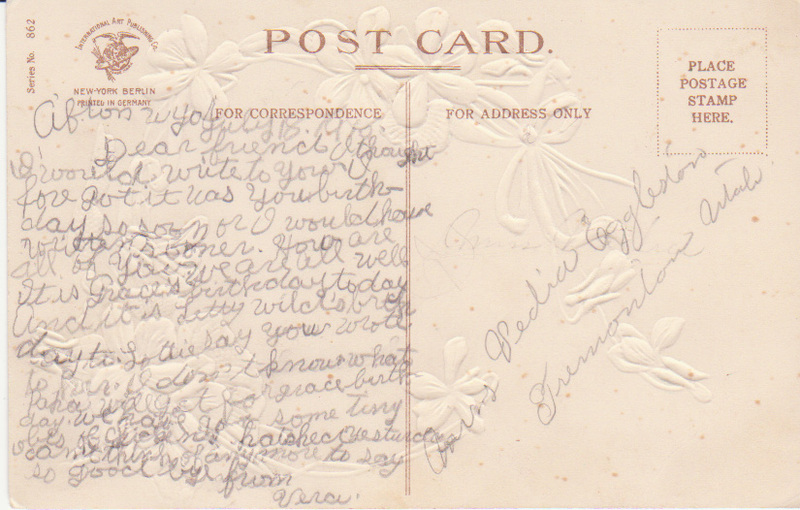 This last card was sent in 1916 from Vedia’s sister Connie who was in Deweyville, Utah to Vedia in Malad. 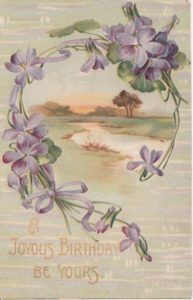 Vedia had married John Jones in June, so the card was addressed to Mrs. John Jones. Connie mentioned that she had gone to Lagoon, a popular place, then and now. 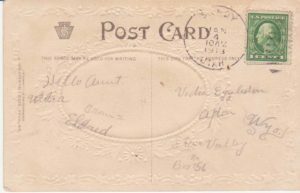 This entry was posted in Family heirlooms, Postcards and tagged Eggleston, Idaho, Utah, Wyoming. Bookmark the permalink.